The Palo Alto law firm that used to represent UserLand, and was my personal lawyer for almost 20 years, ignored my offer to settle, and filed a motion to reconsider allowing them to represent the shareholders of UserLand in an action against me, VeriSign and UserLand itself. Oy! If there are lawyers tuned in, here's the motion Russo & Hale filed. I wish they would seriously consider my proposal, and stop filing these motions, it's a total waste of time and money. Meanwhile they're becoming known as the law firm that files frivolous (and ridiculous) suits against their clients. Forever Geek: Prototype of Firefox Coop released. Nick Nguyen: Making Firefox more del.icio.us. Om Malik explores the platform vendor dilemma. AP: "Everything was stripped from a rental home after an Internet classified ad invited people to take whatever they wanted for free. But the landlord says the ad, posted last weekend on the craigslist Web site, was fake." KSDK NewsChannel5 has video of the story. Google's new user-annotatable maps. Coool! I'm featured on the cover of Wired next month in a special issue celebrating 10 years of blogging. Many of you were interviewed for this issue, so congrats! Yesterday's piece about the "imbalance" of Twitter was, if I say so myself, an important one. There's a theory of social systems, a theory that has yet to be written, that will eventually group them into two distinct sets: balanced and imbalanced systems. Neither one is better than the other, both have strengths and weaknesses. It's generally assumed that the balanced systems are democratic and fair, and the imbalanced ones are not, but I think that's too crude. Let me make a prediction. It won't be long, if it hasn't already happened, that there will be an eruption of angst about the A-list in Twitter, just as people grouse about the A-list in blogging. In Twitter terms, the A-list will be people who have lots of followers, more than the average person. It will be more pronounced in Twitter because you can clearly see how many followers someone has. It's like those Feedburner badges that say how many subscribers a site has, except in Twitter, everyone has such a badge, and it's in a consistent place. But this imbalance is what has made it possible for actual work to get done in the blog world. With balanced media, like a mail list, everyone is tightly coupled with everyone else. Imagine a company where every decision had to be ratified by everyone else. A company where everyone had veto power. Only really small companies could get work done. Once you got over a certain level, there would always be a naysayer for everything you might want to do -- so in the end, nothing gets done. I like to joke that at one point I could have a developer's conference for RSS in the shower or while I was taking a walk, alone. Suppose the aggregator developers (me) wanted the blogging tool vendors (me) to support a new feature in RSS. I usually found they were easy to work with! Once there were more developers in the space, guess what happened -- nothing! Even the most innocuous proposals were controversial, and once there's controversy that's the end of forward motion. In open source communities they call the imbalance a benevolent dictatorship. Far from being a perfect democracy some people imagine open source to be, actually a project often sinks or swims based on how good the central decision-maker is. Again, people complain about the A-list, but that's okay, work gets done over the objections. I found myself thinking of Twitter as loosely-coupled instant messages. It's definitely a new thing, and because of that, it's fascinating. David Weinberger came up with an excellent name for what Twitter is, and the web, and the blogosphere, and RSS (but not mail lists) -- he called it Small Pieces Loosely Joined. There are lots of other terms for it, all good, but to assume that imbalance is bad, would be to miss the goodness of the web itself, imho. Brian O: "Messages are lightly battered and quick-fried." Brent Simmons wishes Twitter to remain simple. Following up on yesterday's post about imbalance in Twitter, I think it's basically a pub-sub environment. Probably would be a good idea to adopt that terminology. So "friend" becomes subscriber. Someone who is being followed is a publisher. On the other hand, it would be hard, at this stage, to try to change the terminology without creating massive confusion. The problem with April Fools posts is that if they work, they damage your integrity, and if they don't (the usual case) they show how pathetic you are. I figured out what I want from Technorati -- in addition to finding blog posts that comment on my posts, or ones lots of people are pointing to, or blogs that have lots of inbound pointers, I'd like it to find me interesting stuff that not many other people are reading. Thoughtful articles written by people who know what they're talking about. Not the usual mindless repetitive stuff that perpetuates top positions on various lists. I want ideas, stimulation, food for thought. 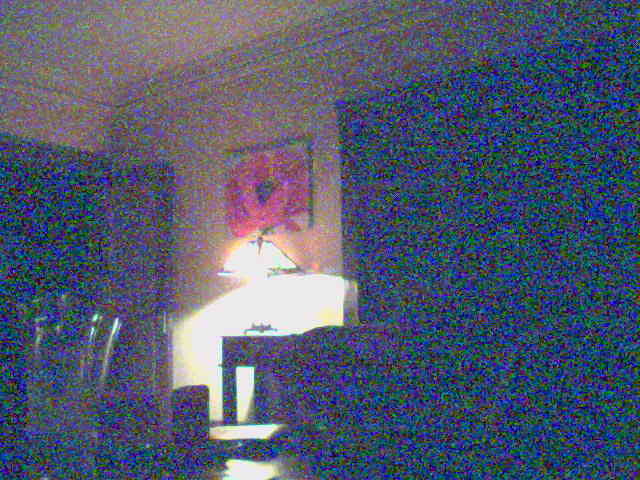 Last update: Thursday, April 05, 2007 at 10:39 PM Pacific. Dave Winer, 51, pioneered the development of weblogs, syndication (RSS), podcasting, outlining, and web content management software; former contributing editor at Wired Magazine, research fellow at Harvard Law School, entrepreneur, and investor in web media companies. A native New Yorker, he received a Master's in Computer Science from the University of Wisconsin, a Bachelor's in Mathematics from Tulane University and currently lives in Berkeley, California.